Skiing and challenge go hand-in-hand, and let’s be honest, most of us sign up expressly for the challenge. While everyone’s idea of a challenge is different, it’s fair to say that seriously steep and gnarly terrain has a way of putting all of us in our place. 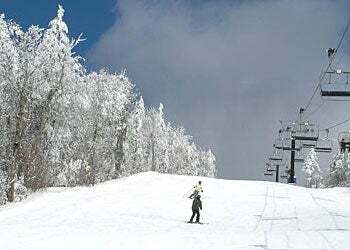 If you&apos;re an expert skier eager to test your moxie and prove yourself, add these crazy in-bounds runs to your to-do list. In no particular order, here are nine objectively scary runs at North American resorts. Framed by intimidating rock walls on both sides, the Christmas Chute is intended for expert skiers only. 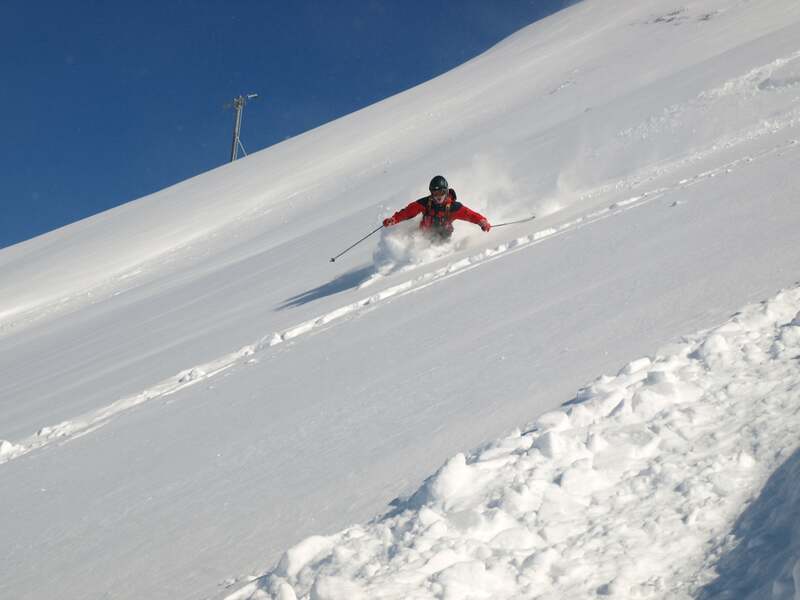 This run belongs to Alyeska Resort, the biggest ski resort in Alaska and one known for its harrowing lines. So reader be warned: Don’t underestimate this 1,000-foot-long double-black diamond chute; even experienced big mountain skiers get the willies on this run. It’s not often you find a 50-degree pitch in-bounds, and it takes standing at the top and staring down that angle to fully understand just how steep 50-degrees is. Ready to challenge yourself on some seriously steep terrain this season? Enroll in SKI and AIM AdventureU’s newest online course "Mastering Steeps" and get step-by-step instruction on the techniques and tactics you need to best these heart-pounding runs this season. Sign on at skimag.com/masteringsteeps. Ranked by the readers of Skiing Magazine.